15 cabbies trained to use life-saving devices to help out in medical emergency. A cab firm has installed defibrillators in vehicles operating in the city. 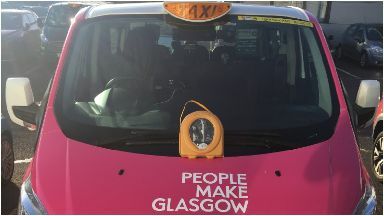 Glasgow Taxis has trained 15 drivers to use the heart-starting devices to help them deal with cardiac arrest in or near to their cabs. 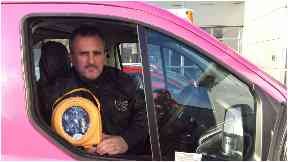 One cabbie who now has a defibrillator is Stephen Lalley, who suffered heart problems last year. He said: "I was thinking about it when we got our training, quite often when we pick people up on a dark night and in the rain they'll say to us 'Aw driver, yer a lifesaver' ... well that phrase could take on a whole new meaning now. "I think it's a brilliant idea and we're all very proud to represent an organisation which wants to help the people of its city in ways such as this." Stephen Flynn, chairman of Glasgow Taxis, said: "Quite simply, this is what we do. "We don't just drive taxis and take people from A to B, we are committed to giving back. "By introducing 15 potentially-lifesaving defibrillators to our taxis we are utilising the very natural willingness of our drivers to help people along. "It's a modest outlay which we have committed to over a three-year period and if even one machine helps one person in that time, it will have been worth it many times over." David McColgan, from British Heart Foundation Scotland, said: "A cardiac arrest is the ultimate medical emergency and every minute without CPR reduces a person's chance of survival. "Alongside administering CPR, the early use of a defibrillator is a key link in the chain of survival. "When someone has a cardiac arrest every second counts."